Place water and kombu in a pot. Cover and bring to a boil. Reduce the flame to medium-low and simmer 5 minutes. 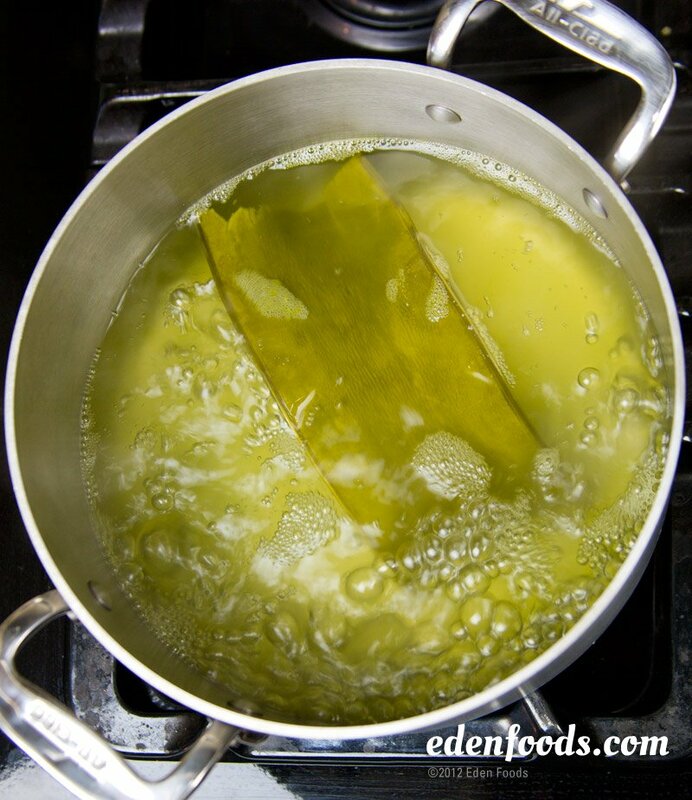 Remove the kombu and use in other dishes or make a second soup stock with it. The dashi stock is now ready to season with Eden Shoyu Soy Sauce or any Eden Miso for broth, or to add vegetables and other ingredients to make soups, stews, sauces, or gravies. Other ingredients such as sliced Eden Shiitake Mushrooms, Eden Bonito Flakes, or Eden Dried Daikon Radish can also be added at the beginning of cooking to create various flavored dashi.